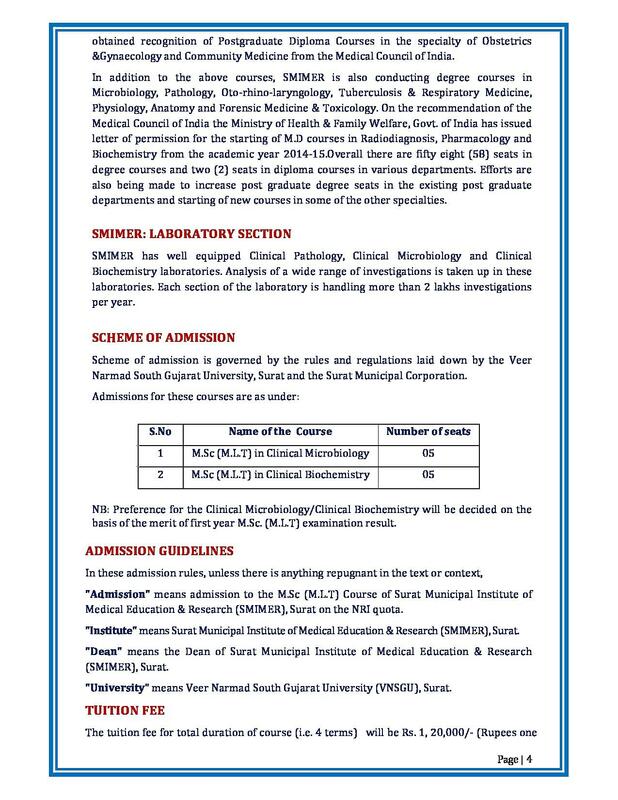 Surat Municipal Institute of Medical Education and Research aims at making medical education available to those students who are meritorious and also have the passion for serving the society. 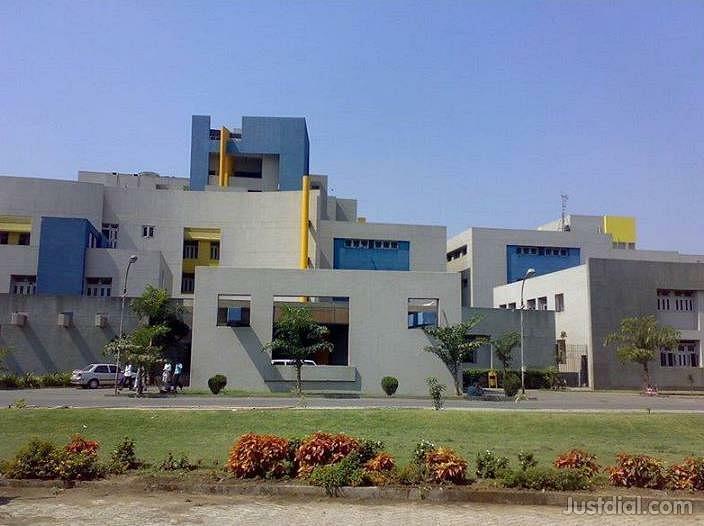 The campus serves as a tertiary health car center for the people in the Gujarat and is also providing undergraduate and post graduation programs for students. The institution serves the purpose of providing quality health care as well as high standards education in the field of medicine to students that will train them to be competent with the world class education. They develop in students the need to realize their importance and responsibilities in a society and how their ethical conduct and professionalism as a perfect blend will lead them into the path of success. 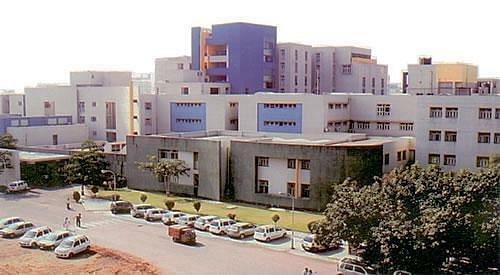 They aim to develop a center of excellence in medical education. 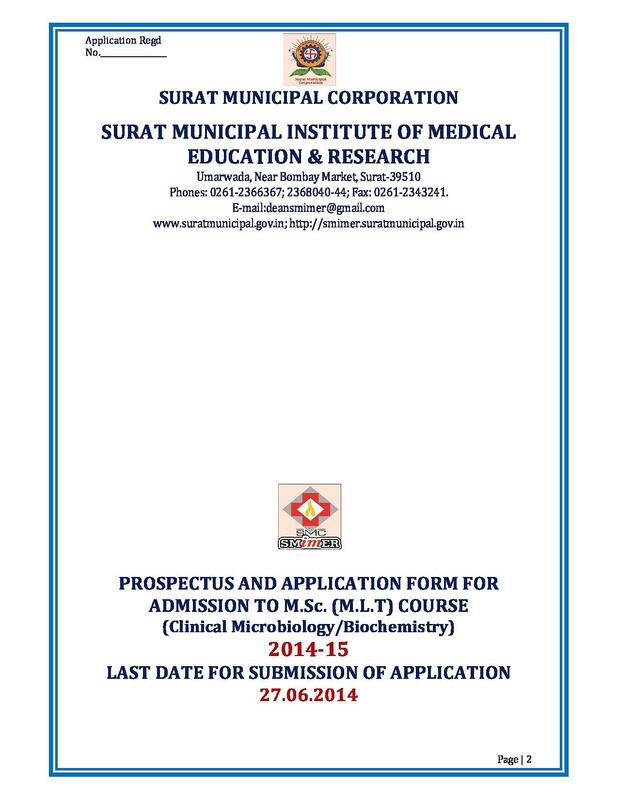 Why to Join Surat Municipal Institute of Medical Education & Research? 1. 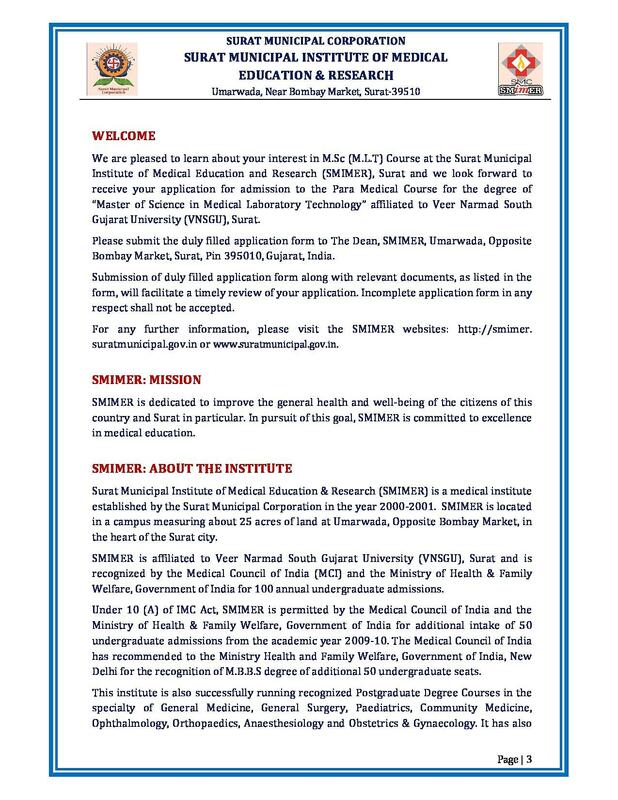 Research and Development: Faculty members at Surat Municipal Institute of Medical Education and Research have contributed to various publications and journals from around the world. Also, the institution houses a research and development committee that urges students to understand the need for their individual contributions to the medical society and society as a whole. Students are encouraged and supported through various research activities. 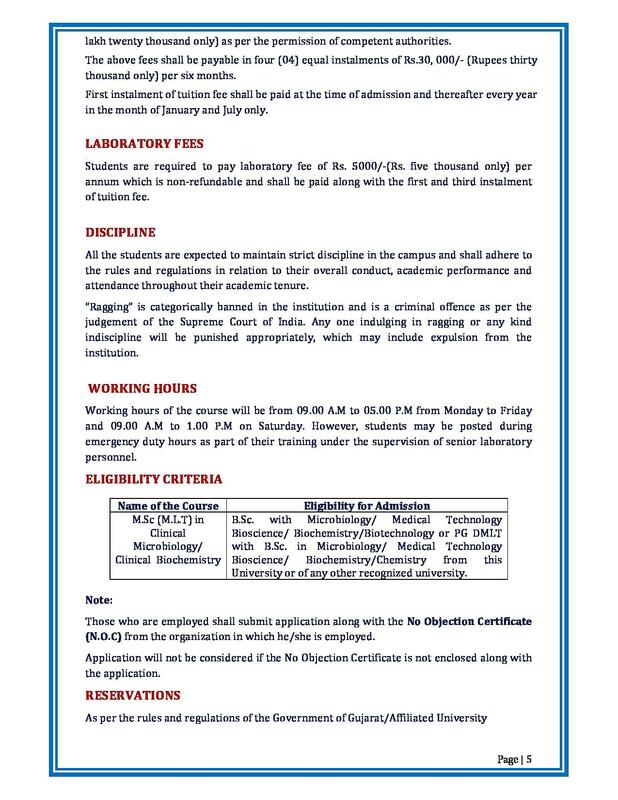 Conferences and seminars regarding research are also encouraged among faculties and students. 2. 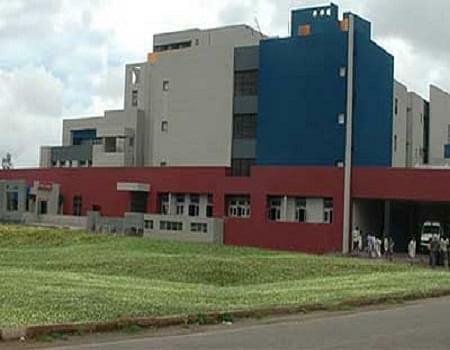 Training: Surat Municipal Institute of Medical Education and Research has a hospital attached, and hence students get to experience various practical sessions where they come across types of patients. This gives them a good idea about such possibilities in the industry. Also, it serves as a training period for students. 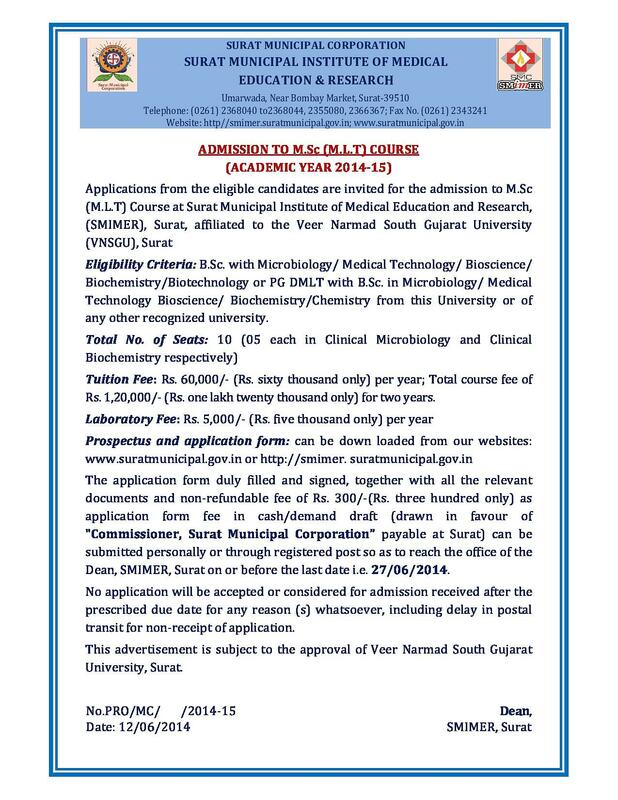 Gujarat HSC board, I got 91% score, Good college.